Most people today do not pay cash for their homes, but rather borrow the funds from a bank or other formal lending institution – that is they finance the purchase. In today's economy and financial environment, this process has become more lengthy and uncertain. It is important to have a basic understanding in order to speed up the process of getting approved. If you don't have a lender - contact us to help you find one. We have lenders we work with regularly and we can readily refer you to them - and we aren't paid any fees or commissions by them to do this. What we get is the pleasure of seeing you get one step closer to moving into the home of your dreams ! Once you have determined that you will need a mortgage, you should immediately get with a lender and get pre-qualified / pre-approved. This process simply means giving the lender some very preliminary information in order for them to determine how much of a loan amount you can qualify to borrow. This is important as it will dictate in what price range of property you should focus. No one wants to find the home of their dreams only to find out later that they cannot qualify for enough of a loan to purchase it ! In most circumstances you cannot be required to use any particular lender. While we can begin the search for your dream home right after the pre-qualification / pre-approval process is complete, you should continue the process of being approved while you are working with us in finding your home. At the end of the process, a qualifying or approval letter is issued by the lender. It means the lender has approved you for a loan at a certain dollar amount and it has already verified the documents necessary (however they will re-verify prior to closing). Financing contingencies are often the reason for a sale not completing - that is the buyer ends up not being able to obtain a loan and the sale doesn't close. No one wins. No one benefits. So…….an offer with a pre-qualifying / pre-approval letter is often considered a stronger offer than one without – and an offer with a full approval letter can many times out compete higher offers because by being already approved you remove the angst a seller may feel regarding the Great Unknown - Financing. With an approval letter in your offer, sellers can be more confident that your offer is solid and will close because you can already show you can make the purchase and you can do so sooner. This would include car payments, credit cards, etc. The lender will first run a credit check. This is the most basic step and no lender will approve a loan without a credit check. They will receive scores from all three major credit bureaus and will use the “middle score” for determining your loan product. With this information and the other information, the lender will look to see which loan product fits your personal data profile and with that chosen will determine the preliminary amount they will lend you and under what general terms. While there are credit scores with which no loan can be made, because all the information is looked at as an overall picture, many people find out that they can qualify for a loan with scores less than perfect. During the full approval process, the lender will verify the information with driver’s licenses and other photo identification, W2s, bank statements, tax returns and other pertinent documentation. Note vs. Mortgage – What’s the Difference? Financing a home or investment property involves two related, but separate concepts – a promissory note and a mortgage. Often used interchangeably – they are distinctly different. The “note”, more correctly, a promissory note, is the actual written promise to pay the loan in the manner agreed. It contains information and terms such as the interest rate, number of payments and due dates. The mortgage is a written agreement which serves to allow the house (or land, or business) to be used as collateral to cover or “secure” the note in case the borrower does not pay the note as agreed – that is it gives the lender the right to take back the house and sell it in order to get its money back. 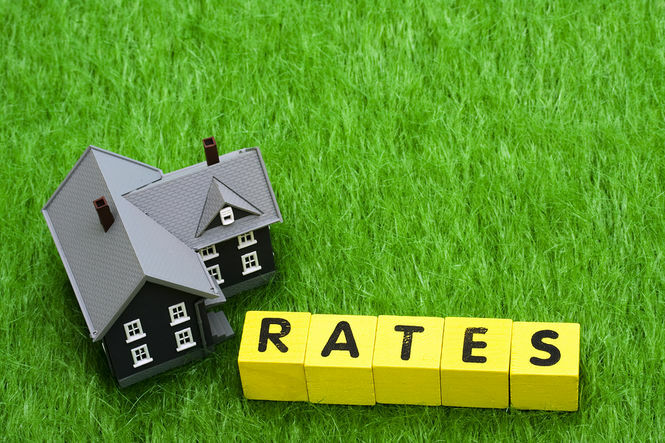 Fixed Rate – this means the interest rate charged stays the same for the entire life of the loan. Adjustable Rate – this means the interest rate charged can change during the life of the loan. 30 Year, 15 Year, 5 Year – these all refer to the term length of the loan (aka the life of the loan). A 30 year loan has a term of 30 years and 5 year loan has a term of 5 years. It DOES NOT automatically mean the loan is set up to be paid off during the term. Balloon Payment – this means the term length of the loan isn’t long enough to actually pay off the loan and at the end of the term there will be a large lump sum due the lender. Amoritized or "Am"- this means that the loan has been calculated to be paid off over the period given. For example a 20 year amoritized loan has payments calculated to pay the loan off in 20 years. The amortized period and the loan term are not always the same. Points – each point is equal to 1% of the loan amount. It is a bank fee. A lender that charges 1 point on a $100,000 loan amount is charging a fee to the borrower of $1,000. Not all lenders charge points on every loan. 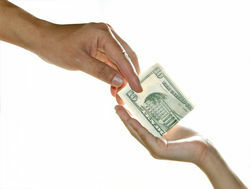 Most times the point(s) are paid in exchange for an overall lower interest rate during the loan term. Whether or not this is worth spending upfront depends how long you will be in the home. Loan Origination Fee - this is the fee charged by the lender for the service of putting together and processing the loan start to close. The fee will vary by lender. LTV – Loan To Value. 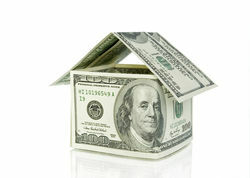 This means how much a lender is willing to lend based upon the value of the home or property. An 80% LTV means the lender will lend up to 80% of the value. So a home worth $200,000 may have a loan of no more than $160,000 (80% x 200,000). PMI – Private Mortgage Insurance. It insures the lender for being paid a portion of the loan amount in case of default by the borrower (the rest being recovered by selling the property). This is required by many lenders when the LTV is below a certain threshold. PITI – this is a payment term used when the payment quoted includes Principal, Interest, Taxes and Insurance. Closing – the actual sale itself whereby all the documents are signed by all parties that allows the buyer to take ownership and possession of the property and the seller to receive the monies paid. HUD-1 – this is the closing statement. It outlines and identifies all of the charges to each party. Title Insurance – this is a form of insurance against claims made on the property’s title. No lender will make a loan without it. Tax Stamps, Deed Stamps, Note Stamps, Intangibles Tax – In Florida taxes are paid on the transfer of a deed and the recording of a promissory note. Deed Stamps are paid at a rate of 70 cents per 100 dollars on the purchase price and Note Stamps are paid at a rate of 35 cents per 100 dollars of the original loan amount. An additional tax is paid on promissory notes, called the Intangibles Tax, at a rate of .002 times the original loan amount. Don't have a lender? Contact Us to help you find one ! Disclaimer: The information contained on this page is deem reliable but is not guaranteed. This information is meant to be educational and informative only. New Southern Properties Inc. is not a lender and this page should not be interpreted as an offer to make any loan or offer of any financing. Each lender will have its own specific requirements and you should check with the lender and/or your financial advisor as to what loan, if any, may be right for you. While we are happy to refer you to lender(s), us referring you to a lender(s) should not be interpreted as a guarantee of getting you approved for any loan. The lender(s) themselves make that determination solely based upon their own methods and criteria and the information you provide. The example above is totally hypothetical and has no correlation or affiliation with any bank or product and should be looked to as an example only to enhance the clarification of the defined words and terms given.